Apex Officer specializes in building turnkey virtual reality and augmented reality training simulators and combat technology for the U.S. Army and Military. Our top-of-the-line, 360-degree fully-immersive virtual reality military training simulator, Apex Soldier, enables soldiers to train for the most real-world situations, including ambushes, terrorist attacks and more; meanwhile, maintaining full situational awareness during extreme stress. What is the mission of the Synthetic Training Environment? The mission of the Synthetic Training Environment (STE) is to provide a cognitive, collective, multi-echelon training and mission rehearsal capability for the Operational, Institutional and Self-Development training domains. To converge the virtual, constructive and gaming training environments into a single Synthetic Training Environment (STE) for Active and Reserve Components as well as civilians. To provide training services to ground, dismounted and aerial platforms and command post (CP) points-of-need (PoN). What is this the synthetic training environment (STE)? The Synthetic Training Environment (STE) will interact with and augment live training; the primary training approach for the Army. This concept will allow the Army to provide a single STE that delivers a training service to the PoN. The capability will allow the training audience to train all warfighting functions (WfF) and the human dimension, across all echelons with joint and Unified Action Partners (UAP) in the context of Unified Land Operations (ULO). The scope includes the training and mission rehearsal capability, interfaces with operational networks, training interfaces with Network Enable Mission Command (NeMC) Initial Capability Document (ICD) defined platforms and CPs, interfaces to live training instrumentation and native interoperability with the Common Operating Environment (COE). 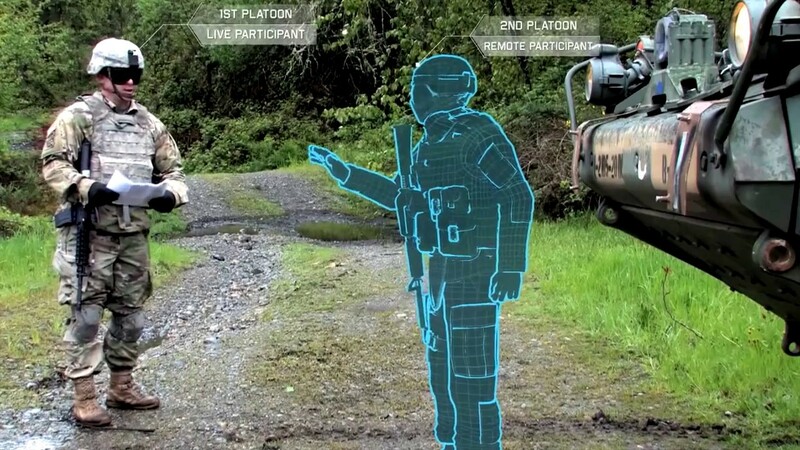 STE Virtual Military Equipment (VME) that leverages Commercial Off The Shelf (COTS) and Government Off The Shelf (GOTS) hardware will provide an immersive and semi-immersive training capability to the training audience. The STE, a software solution, will not have a production line to produce custom hardware. Instead, it will have an integration line that integrates COTS and GOTS hardware. What is the benefit of the Synthetic Training Environment (STE)? Warfighters will benefit from a single Synthetic Training Environment (STE) built on One World Terrain concepts within a Common Operating Environment (COE). How will the synthetic training environment be used? The Synthetic Training Environment will interact with and augment live training, which is the primary training approach for the Army. This concept will allow the Army to provide a single STE that delivers a training service to the PoN. The capability will train all Warfighting Functions and the human dimension across all echelons with Joint and Unified Action Partners in the context of Unified Land Operations. 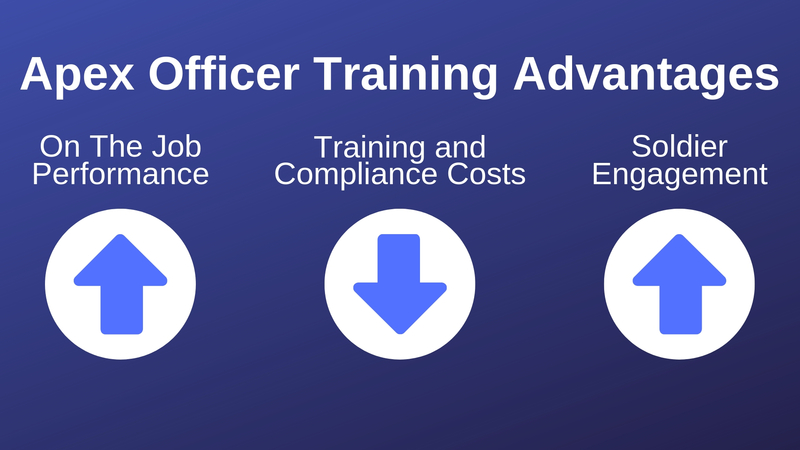 Synthetic Training Environment Virtual Military Equipment leverages commercial off-the-shelf (COTS) and government off-the-shelf (GOTS) hardware. It will provide immersive and semi-immersive training capability. Synthetic Training Environment is a software solution and will not require production line for custom hardware. It will utilize integration line to integrate COTS and GOTS hardware. Apex Officer builds the best augmented reality and virtual reality technology for the Army and Military. As you may or may not know, Apex Officer's military VR training simulator goes beyond the simulation. Repeatedly, trainers and instructors report that the real value in their integrated, immersive virtual reality training simulation is in the opportunities it creates to pinpoint exactly where their students are succeeding and falling short. Apex Soldier offers tools to facilitate after-action debriefing, analyze trainee performance, and create custom scenarios unique to your needs. We train your trainers to train your policy. As those policies change, so can your simulation.